Warframe, until now, has not had cross platform play. This is actually due to an unfortunate confluence of circumstances- the PC version receives updates quicker than the console versions do, which means that PS4-PC or Xbox One-PC cross platform play has not been possible, and, of course, Sony doesn’t allow games on its platform to be playable with games on other consoles (though they are okay with PC cross platform play, for whatever reason). However, now that the game is coming to Switch, some form of cross platform play support is possible, at last- the Switch and Xbox One versions of the game can play with each other, if nothing else. The Warframe and Nintendo community both seem to have realized this, and there has been an outpouring of support for the idea. It is an idea that developer Digital Extremes themselves seem to be up for. 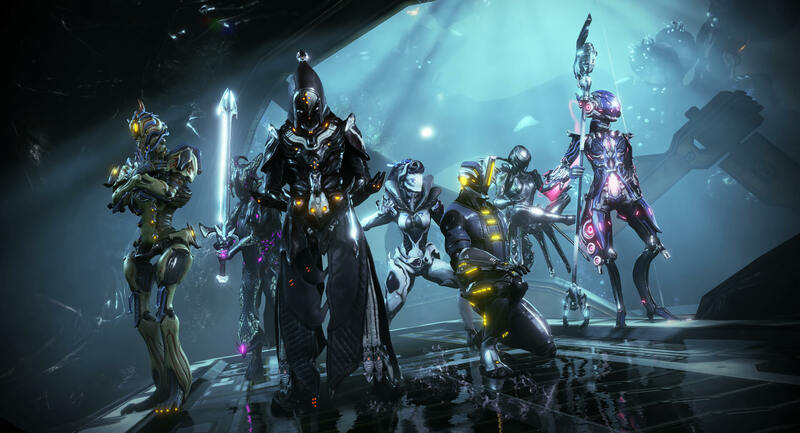 Speaking with Tech Radar, Digital Extremes Studio Manager Sheldon Carter noted that the team is exploring all possibilities to make cross platform play in Warframe happen. “Since announcing Warframe coming to the Switch, we’ve received an incredible amount of positive reception from both our community and Nintendo players. We’re exploring all options for people to play on and with the Nintendo Switch,” Carter said. He also went on to confirm that account migrations for the Switch version of the game could happen, so there’s that to look forward to as well. Warframe is available right now on PS4, Xbox One, and PC. A Nintendo Switch version of the game will be launching later this year.